Kadic welcomes a new student to its ranks: Laura Gauthier. Blonde and charming, she proves to be a bright student in front of her teacher during first period. While Jeremy’s fatigue stops him from completing the equation on the board, Laura takes his place and finishes the difficult equation with vigour. The new student is noticed by the group of heroes. Grumpy about his failure, Jeremy sulks while Odd and Ulrich rub it in. 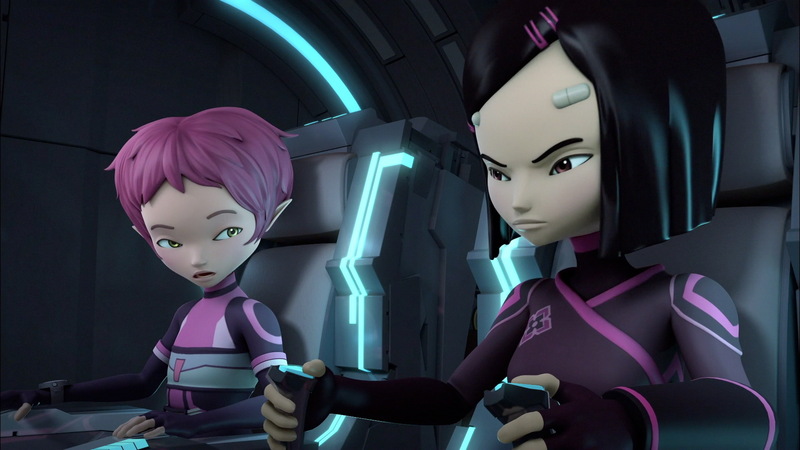 It is however Aelita who frowns while Laura reappears and seems to take an interest in Jeremy. While the heroes talk about the Cortex and a new vehicle which Jeremy had programmed to allow them to not be devirtualised by the multiple topological movements that characterise the Cortex, Laura invites herself into the conversation. 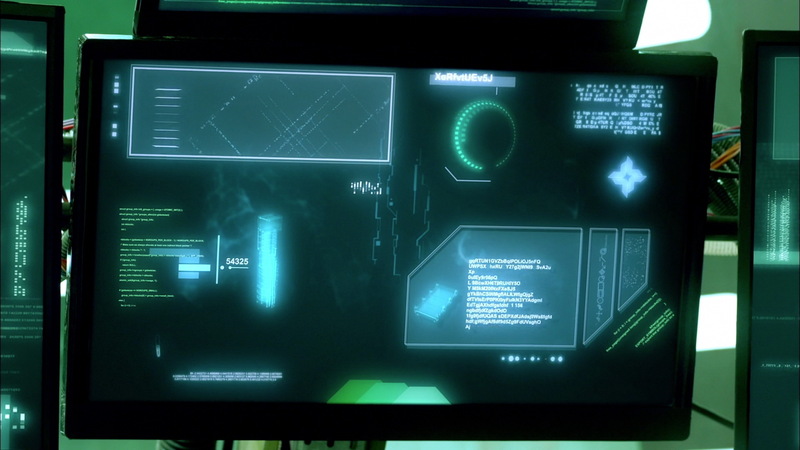 As the heroes say that the jargon refers to a secret video game currently in development by Jeremy, Laura offers her assistance, citing her competence in IT and scientific subjects. The group brushes her off and disappears in the direction of the factory. Virtualisation on Lyoko and disembarking in the Skid in the direction of the Cortex. Arriving there, Jeremy reveals his creation; a circular vehicle with four wheels and four seats that can take them across the Cortex. After a little debate, Jeremy cuts in and places Yumi at the controls, to the disappointment of Odd who wishes he could drive. 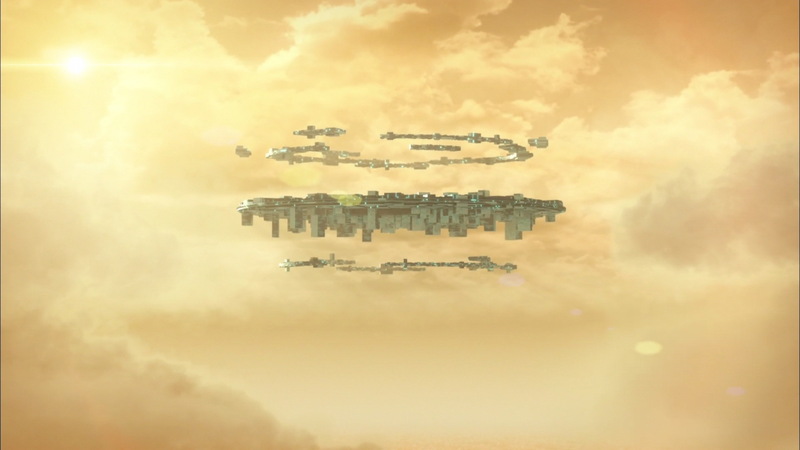 Although the changes in the territory are completely expected, the Megapod is revealed to be extremely difficult to control and its trajectory calculations aren’t infallible. At Kadic, Laura is persistent. She asks William for information on the “online game being developed by Jeremy’s group.” William understands the situation and realises that his friends are on Lyoko without him, he tells Laura to forget about it and leaves in the direction of the factory…without realising that the blonde is on his heels. 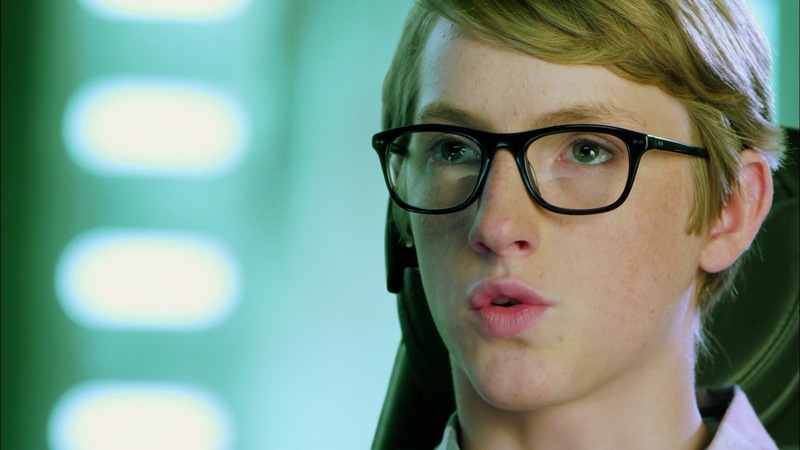 When William arrives in the lab, he is vexed to find that his comrades still don’t trust him. He turns back and goes back to the school. As he leaves the lift, he is unaware that Laura has hidden behind the palettes. She lets him go and investigates the control panel of the lift. 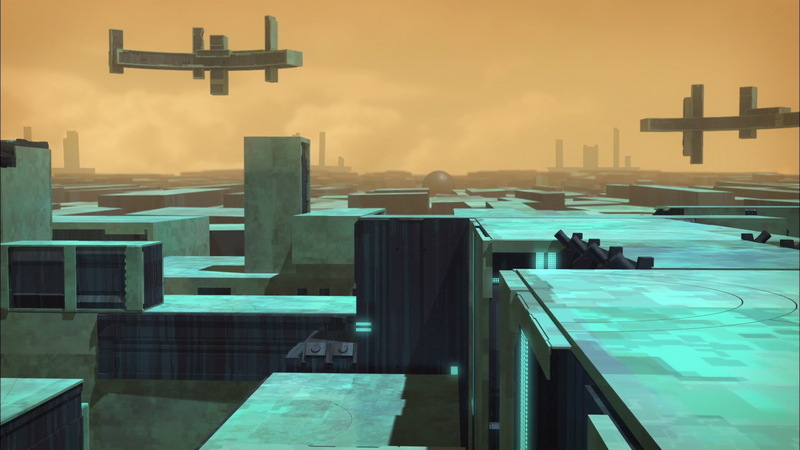 On Lyoko the situation worsens; after a changing of the terrain the Megapod gets stuck, a tyre stuck in a fissure. XANA doesn’t waste time and sends Krabes. 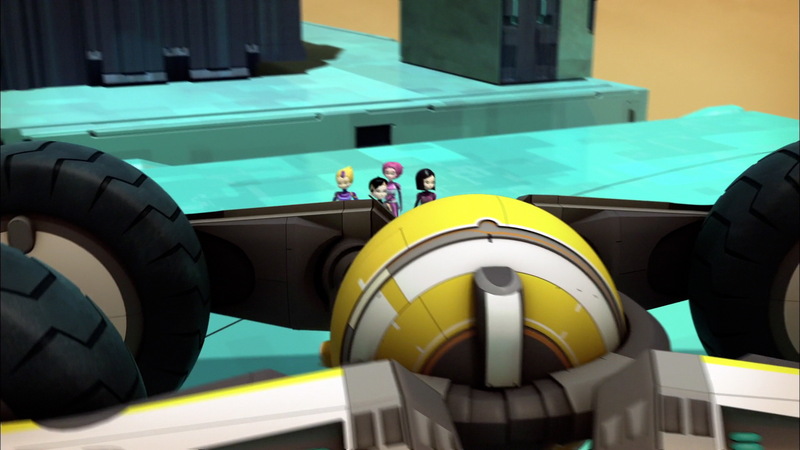 Jeremy gets the Lyoko Warriors out of the vehicle to fight…but Yumi is stuck inside, the Megapod is bugged! Odd, Aelita and Ulrich fight the Krabes who are determined to destroy the vehicle. Jeremy begins the debugging while he is interrupted by Laura entering the lab. By listening to Jeremy and observing, Laura quickly understands that Jeremy was working on a quantum computer and that the situation is bad. Giving in, Jeremy accepts the help she is offering in the debugging and gives her instructions for her to work directly on the cables on the wall, out of reach of the terminal. 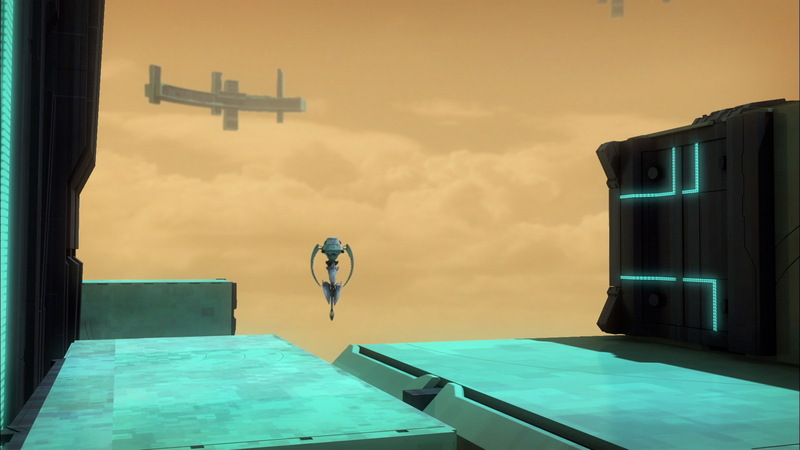 Aelita tries to get away to get into the core but she has to face off against several Krabes. She is devirtualised after being distracted by one of Odd’s jokes. The monsters continue to attack the Megapod. When Aelita discovers Laura in the middle of helping Jeremy, she becomes extremely jealous of the “second Mrs Einstein”…but faced with the current urgency, she fumes in silence. 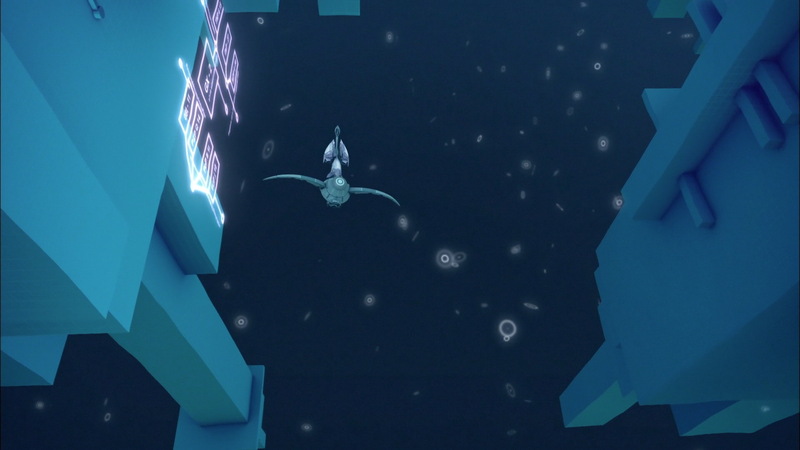 The situation worsens again; the Megapod falls onto a platform lower down, balancing above the Digital Sea. Odd and Ulrich battle tooth and nail but end up being devirtualised. The combined efforts of Laura and Jeremy bear their fruit: Yumi is devirtualised just as the Megapod falls into the Digital Sea. At the factory, the heroes make their decision about Laura. Jeremy tells the others about how she helped them and proposes a vote to make her a member of the team or not. No longer under pressure from the earlier events and jealous of the attention Jeremy is giving to Laura, Aelita launches a return to the past without consulting the others. Laura shoots her a bitter and resentful look before being enveloped by the white bubble of the RTTP and losing her memory of the day’s events. Back in that morning’s class, Jeremy apologises to Aelita. She insists on the fact that she “doesn’t feel right about that girl.” She then encourages Jeremy to go up to the board to attempt the equation he’d failed that same morning and take Laura down a notch. While Odd remarks that that’s not very ethical, she says that in this case it’s alright to ignore the morals, because after all, there can only be one Mrs Einstein. - A new arrival starts at Kadic Academy. She's Jeremy's equal in scientific and IT-related subjects. Also, she discovers the factory and helps Jeremy debug a program. Aelita erases her memory with the return to the past. - Jeremy programs a vehicle made specially to be used in the Cortex. It's very fast and can adapt to sudden changes in the Sector. - The Cortex existed before XANA's return and was therefore created by someone else. 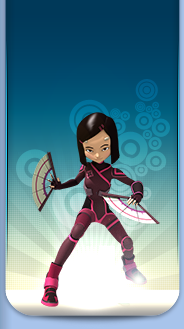 - Aelita now uses a new form of shield, derived from her energy fields and much larger. - Aelita becomes very jealous of the new student and the interest she seems to take in Jeremy. - Yumi can't drive the Megapod very well. - First appearance of Ms Hertz in Evolution. - During the virtualisation, Yumi's clothes aren't the ones she was wearing before. - Jeremy's keyboard changes in certian scenes. - First appearance of the Megapod. Jeremy programs it in a week. - First appearance of Laura. - This episode is the first in which we see Odd's new gloves being virtualised onto his arms, on top of the old ones. This is why, before this episode, a number of fans thought that the scenes in which Odd didn't wear his gloves were animation errors. Odd: You're going to have to get used to it, Aelita! You're not the only Mrs Einstein anymore! Laura: If you need help, I'm great! …in IT! Aelita: It's just that there can only be one Mrs Einstein. Aelita: Too happy. All four of us on Lyoko without that nosy Laura! Yumi: Yumi steering, no sign of veering! Ulrich: This ring in the Cortex is amazing! Aelita: Daddy, could you be the cause of all this? Odd: Anyone care for a nice tartar Krabe? Odd: Ouch, maybe I went too far?! Yumi: Hurry, Jeremy! I have no desire to go swimming in the Digital Sea!